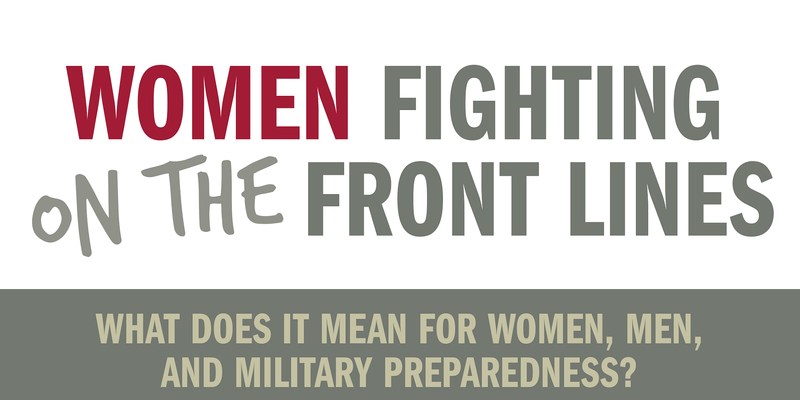 What Does It Mean For Women, Men, And Military Preparedness? 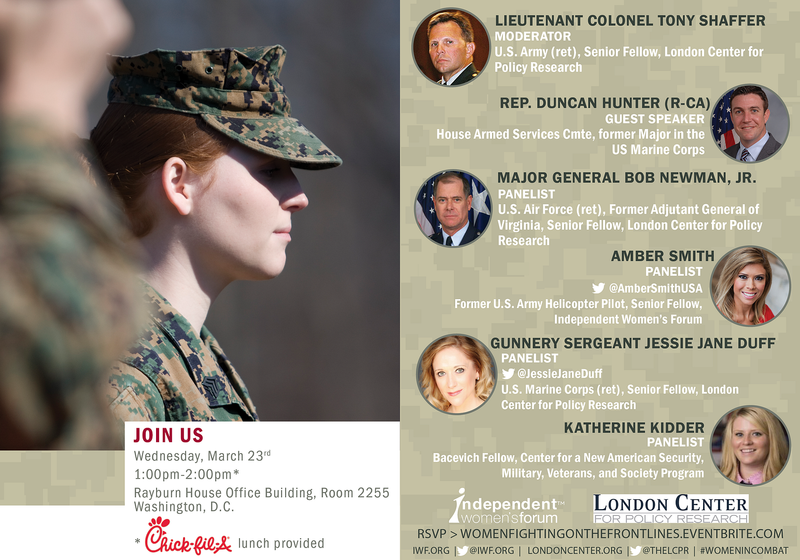 (WASHINGTON, DC) -- On Wednesday, March 23, Independent Women's Forum and London Center for Policy Research host Women Fighting On The Front Lines panel discussion. The Pentagon’s admission of women to the infantry and other units has sparked debate in Washington. According to testimony on Capitol Hill, women can be involuntarily assigned to combat units, potentially fight in hand-to-hand combat, and may be required to register for the draft. Panelists Major General Bob Newman, Jr., Amber Smith, Gunnery Sergeant Jessie Jane Duff, and Katherine Kidder, moderator Lieutenant Colonel Tony Shaffer, and guest speaker Congressman Duncan Hunter (R-CA), all heavyweight thinkers in the field, discuss the historic announcement by Defense Secretary Ashton Carter opening all positions in the U.S. military to women and what this means for women, the men who would fight with them, and military preparedness. Is this a necessary step to ensure women are treated equally under the law? 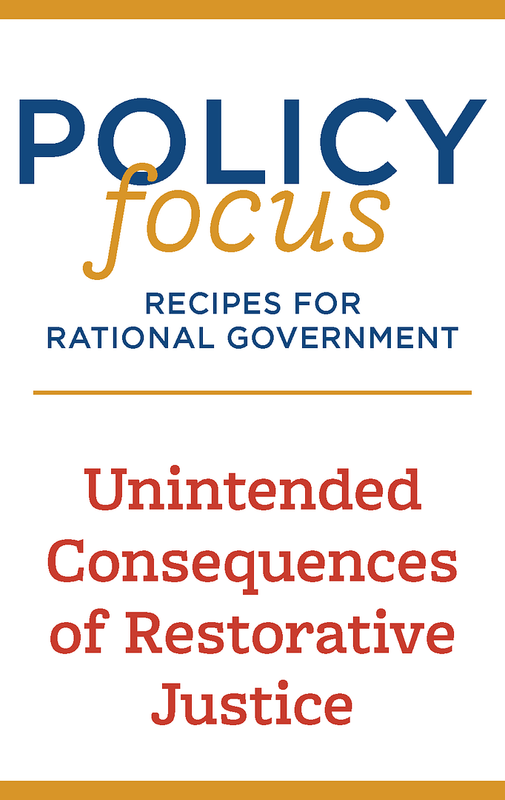 What does it mean for our culture and the relationships between men and women?